Jamaicans are, unsurprisingly, crazy about athletics — especially track events. 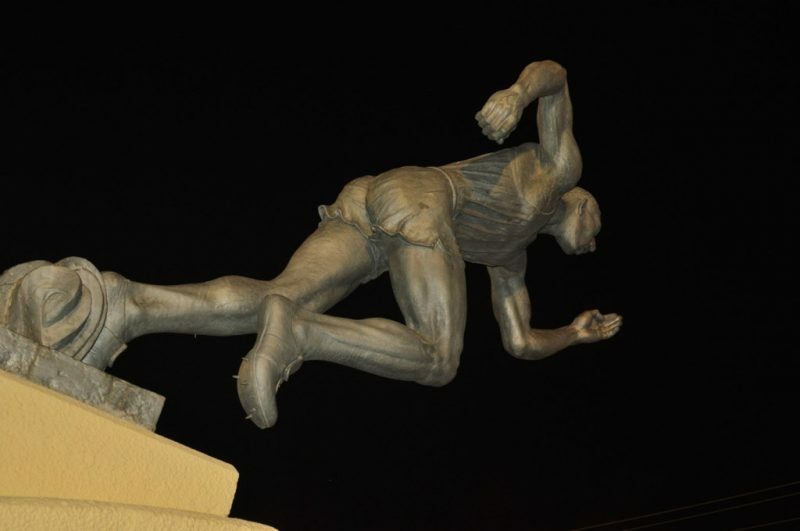 The country’s success at the 2016 Olympic Games in Rio de Janeiro and the worldwide Usain Bolt phenomenon help to fuel the continuous burning interest in all things track and field. As a result, the Inter-Secondary Schools Sports Association (ISSA) Boys’ and Girls’ Athletics Championships (commonly known as “Champs”) seems to garner increasing media and public attention every year, with cheerleaders, drums, flags, chants, school colours and the “big” schools setting up camps near Kingston’s National Stadium. And this year's contest was no exception. This year, the rivalry was intense, particularly between last year’s winners, Calabar High School, and the highly-touted Kingston College (KC) — both male-only institutions based in the capital city. However, there was added controversy over a 16-year-old Ugandan boy, Arymanya Rodgers, who migrated to Jamaica in October 2016 and was selected to run for KC. The principal of Calabar High School was not amused when ISSA voted to allow Rodgers to participate, despite his late arrival in Jamaica and delayed registration. While the dispute between the two schools’ administrators rumbled on (sustained by several newspaper columns and sports journalists’ opinions), a parallel argument continued online among avid athletics fans. Jamaicans on social media had a lot to say, with sharply divided views on whether Rodgers should have been allowed to run. While there were a number of negative comments on Facebook, Rodgers pleaded with Jamaicans to be more understanding of his plight, as the circumstances of his arrival on the island were beyond his control. So in the end, which school won? Despite a strong challenge from KC, Calabar High School narrowly won its 27th title — and sixth consecutive win — by just three points, with another Kingston boys’ school, Jamaica College, a distant third. The result emerged after the last race. The girls in the rural-based Edwin Allen High School won for the fourth consecutive year. As usual, there was much less emphasis and “hype” surrounding the girls’ win, although they left their rivals in the dust with a much wider margin of victory. As the fireworks display died down, ordinary Jamaicans were left to reflect on the nation’s state of overall fitness. The Ministry of Health just launched “Jamaica Moves,” a new fitness campaign, after revelations that 56 percent of Jamaicans are overweight and a quarter of the country is medically obese. I think it’s short sighted to focus on his impact in Champs instead of looking at the opportunity to develop a distance running program in Jamaica. I think that would be another story. Champs was the focus of this one.